Services | PGV Pediatrics P.A. At PGV Pediatrics, we strive to offer a full array of services to help your child maintain good physical and mental health from newborn to age 16. Our child-focused practice works hard to meet the needs of all children and we pride ourselves in being an exceptional clinic where children always come first. 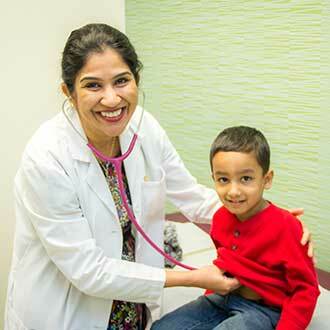 Dr. Agrawal’s has had years of experience working with children of all ages with varied personalities and needs. Any time you have questions or concerns about your child’s health, please feel free to call us. We welcome your questions. 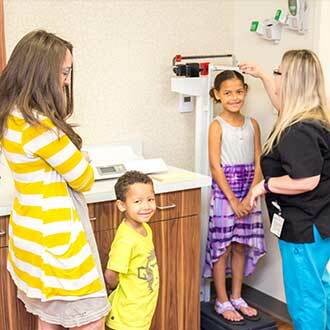 We recommend yearly check-ups for each child and provide the care your child needs in a welcoming environment. We strongly support breastfeeding and will provide you with the care your child needs throughout each step of their growth process. Preventive care can include immunizations, lab tests, physical exams and prescriptions. We cannot stress enough the importance of preventative care, especially for children. We are here to help you stay on top of your child’s preventative care schedule and ensure they receive a thorough yearly exam beginning from infancy. 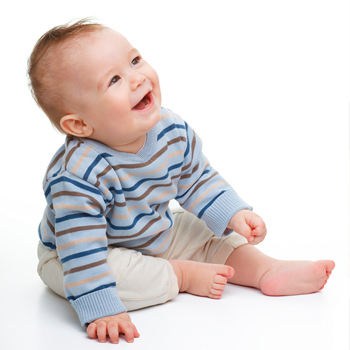 We offer standard vaccines during each stage of your child’s growth. From the chicken pox to meningitis, we can ensure your child receives immunization vaccines during each stage of their life. If you are unsure about vaccinations and are looking for other options, we also support an alternative vaccination schedule which we can discuss with you during your visit. In most cases, we can see your child the same day they get sick so they can get on the road to recovery more quickly. Please contact our office immediately if your child needs to be seen and we will do everything we can to fit you in that same day. If your child needs immediate care, please call 911. Our research shows antibiotics and OTC medication are not always the best options for your children. We have found that antibiotics and some medications have adverse side effects to your child's overall health. Before we prescribe any medication, we do like to evaluate your options and find alternative means. We are always available to discuss these options with you. Please contact our office for more information. We work together with several Lactation groups in the community. Also, upon request, we have some in-house lactation services. Please visit La Leche League for more information. Our office strongly supports breastfeeding and is will be here to assist you every step of the way during the breast feeding cycle. You can also contact our office to speak with a member of our team directly.